Are you looking for an easier way to take and monitor inventory? Then the Microsoft basic inventory control spreadsheet is what you’ve been searching for. 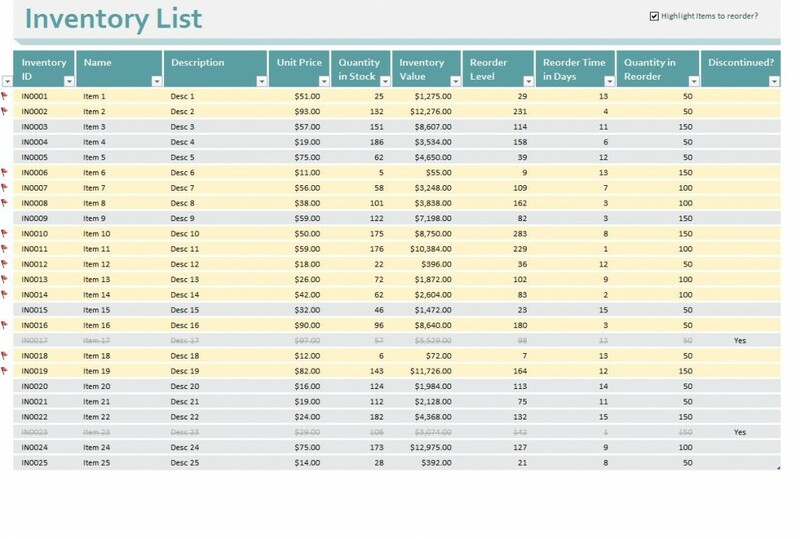 With one-click entry and an easy-to-use interface, the basic inventory control spreadsheet is the ideal tool for those in charge with keeping up with the inventory demands of any business or company. Not only can you begin using this basic inventory control spreadsheet right away, you can also download it from this page at absolutely no charge. That’s right. The basic inventory control spreadsheet can be accessed on this page for free. It’s part of our goal to help save businesses around the world two of the most important things: time and money. So get control of your inventory with the Microsoft basic inventory control spreadsheet from ExcelTemplates.net today! The Microsoft basic inventory control spreadsheet found here on this page could not be any easier to use. Whether you are familiar with Microsoft Excel or not does not matter. All information can be added with just a few points, clicks and keystrokes. And what’s more, you can also print the basic inventory control spreadsheet and fill it out the old fashioned way if it’s more comfortable. As has been outlined, you can quickly and easily type in all information into their respective data fields. The basic inventory control spreadsheet also serves as a calculator, so it will save you the time and hassle of doing any extra work. You can also be reminded when it’s time to order new items or products by checking the box in the upper right-hand corner. Save Time and Money with the Basic Inventory Control Spreadsheet! From now on, inventory doesn’t have to be the incredibly stressful endeavor it’s been in the past. Make life easier with the free Microsoft basic inventory control spreadsheet. Download, save and print your copy of the Microsoft basic inventory control spreadsheet from ExcelTemplates.net today! I would love to try this for my small store.. thank you. This will help me to shorten in preparing reports…. I would love to try this.. thank you. Thanks a lot. It makes things much easier.